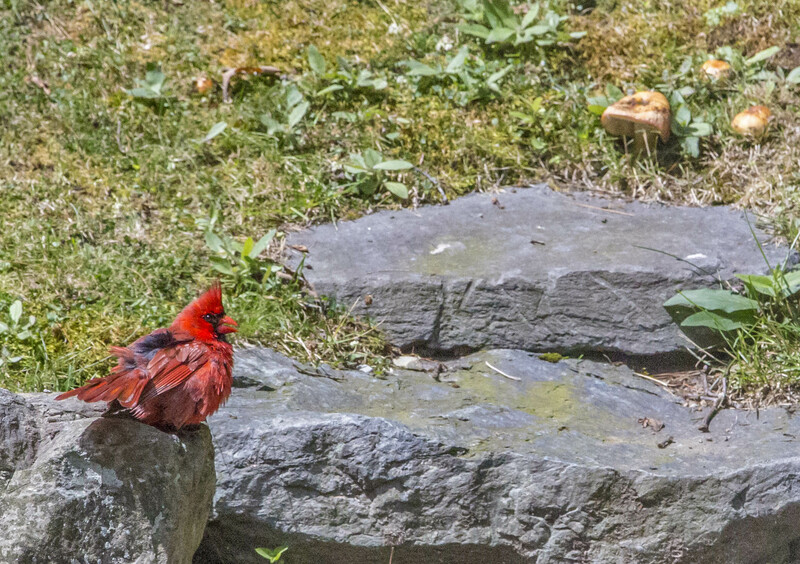 I spotted this cardinal sitting on the stairs in our backyard. I think this is the biggest one I have ever seen. Aren’t Cardinals great looking birds ? Cool shot Gail but his stomach looks like mine, LOL. Too many Sam Adams I guess. Snarky response: Only you can answer that question. Is it the biggest one you’ve ever seen? YES….it is the BIGGEST RED I have seen. Gail, this bird looks like the colorful result of hanky panky between a blue jay and a cardinal! Ha, is that even possible???? In Pittsburg with my son looking at CMU. It’s really hit here! WoW…could be…very good eye. I’m in Pittsburg looks at CMU with my son. It’s so hot here. Still cool and rainy. It’s been the weirdest summer ever (weather-wise, that is!) Carnegie Mellon, right? Campus visits are so much fun….the future awaits! YES…very high expectations that school has!!! 9-3 walking around…it was so HOT!!! You’re England has quite a bit to offer as well! What a wonderful shot. Never heard of a Cardinal before, but I love him. I wonder why he was doing that. I didn’t see anything else around to provoke him. Unless, he could have see me…. I really appreciate your knowledge of the bird kingdom and sharing it!! !